5 Secrets to Setting Goals. Follow them and you will move you forward in 2012, versus ending up in the same situation you are today? Yesterday we talked about why setting a goal is so important. Make sure to read it first if you haven’t, click here to read it. Would you like help in setting your goals or some targets to shoot for, and help you become excellent at “target practice” in any business? 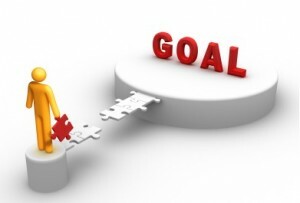 Setting a goal can be so simple to do, but yet many people do not do them. Remember you are trying to separate yourself from the masses. The masses are NOT setting goals, they are the 97%’s, but you as you can see from the Yale study the 3% that do have much greater success. Many people “wing it” every year, and plan no goals or targets, and end up with a business 10% of what it could have been if they had taken the time to plan for success . They shoot from the hip, versus shoot from their greatness that they should be shooting for. Success is a target that is looked at, aimed for, and shot towards daily. Are you planning on doing that? 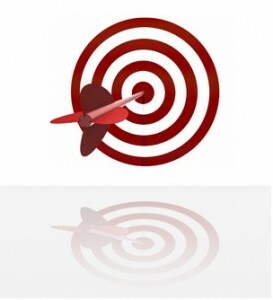 Your “Success Targets” or goals should be 5 things in Network Marketing or any business. And these 5 things should be the driving focus of your goals. If your Success Targets fall into line with these 5 parameters, you will have a tremendous increase in odds of Success in 2012. 1) R…stands for REALITY BASED. Your Success targets should be based in reality, not fantasy. They should force you to Reach, not Wreck. They should force you to pull out your best, not pull a muscle. No matter what the goal, it should be reality focused. You can make all the goals you want that are nothing more than fantasies, but Success Targets are goals that stretch you, not stress you in this industry. What do you REALLY want to do with your home business this year? Make it reality based, and break the steps down to baby steps, and you will find that your Success Targets are being “bulls-eyed” every time! Setting a goal to be at the top rank in your company the first week is not realistic for most individuals. Could it happen, sure, will it most likely happen, not realistically? Keep your Success Targets reality based. Your Success Targets need to excite you, and energize you. If they do not energize you, how are they going to energize others? They will not. Your goals should FIRE YOU UP when you think about them, and take action on them. They should energize you every time you tell others about them, and plan on achieving them in your business. Are you energized and excited about your Success Targets and do they inspire others? Will your goals help you retire a parent, keep a parent home with the kids, help you fire your boss this next year, add to your retirement, pay off some debt, give you the financial ability to give to more to charities. See I’m excited about the possibilities of helping people get over $10K month during our first 90 Day Blitz, a big group over $4K a month, and even bigger group at $1K month and even biggest group at $300 month. It’s exciting to know that we are helping people win in 2012. Get some Success Targets that will create some energy with you and your team. You will be glad you did! Simply, your network marketing success goals should be accountable and countable. Can you measure your goals and keep track of where you are with them? If you cannot, you will weaken the chance of achieving them. Wrap your goals around the the fundamentals of building a network marketing business. How many Exposures a day will you do? How many guests will you bring to the Weekly Events? How many Presentations a week will you do? How many guests will you have on webinars? Be accountable to your Sponsor or PBC’s (Personal Business Coaches). Every single one of you should get to know three of your Success Team. Be accountable to the top Leaders in your organization. However, be careful who you share your goals with. Some people don’t want to see you succeed. They may be negative. However, the Top Leaders in your organization usually want to help you be accountable to yourself and to your goals and see you go to the very top! Share your goals with at least two people in your Success Team. Notice I said at least two, I would recommend that you share it with all three of your PBC’s or Personal Businesses Coaches. It’s exciting for your Leaders to know what your goals and dreams are for you business and how they can help motivate, inspire and keep you on track. Create some responsibility to the goals for yourself, and to the success of your upline Success Team. It will accelerate your Success in 2012! 4) C…stands for CONSTRUCTIVE TIME LINE. You need to have a time line that has a beginning and an end. You need to know when the goal is supposed to be started, and completed. And it should be a step by step Success construction process that has a focus of when it needs to be completed. A time line is the “winner’s line” that we shoot for, and move on past. It is a step along the way to greatness in network marketing and to achieving all of your dreams and goals through this industry. If you need some Personal Coaching contact me and I’ll give you a Constructive Time Line to work towards and continue moving your business forward. The question is: Do you have a Constructive Time line or a Destructive Dead line? There is a HUGE difference! 5) H…stands for HAVE IT IN WRITING. In this industry and in any business for that matter, you need to put your Success Targets in writing! It crystallizes what is in your mind to what is down on paper. It MAKES IT REAL. So many people think that you can just keep your goals in your mind. However, seeing your goals and keeping them in your forefront of your mind can have some very empowering results. When you have written goals and they are posted everywhere for you to see something magical happens. Post your goals on your refrigerator, in your car, on your Dream Board, on your desk, it subconsciously gets the mind to work towards those goals. It makes it real every day as you look at them and reminds you of what and why you are working those extra hours for your business. Why you are traveling and working evenings to build your business. Why you are on some many webinars or having in home events. Why you are sacrificing now to have greater rewards in the future. And when you put something in writing, you will find that it becomes more of a focus for you, and more of a focus for your action plans. Writing it down can take a goal from a thought to an action quickly. And it can help create structure and organize your plans and actions so they all work together in your pursuit for success in your business. These are the 5 parameters that your goals should be in for your Network Marketing Success. Remember the REACH acrostic. R…stands for REALITY BASED. E…stands for ENERGIZING. A…stands for ACCOUNTABLE. C…stands for CONSTRUCTIVE TIME LINE and H…stands for HAVE IT IN WRITING. So take the time before the end of the year to write out your Goals/ Success Targets. This is the best time of year to make the DECISION and COMMITMENT that you will succeed in your network marketing business in 2012. 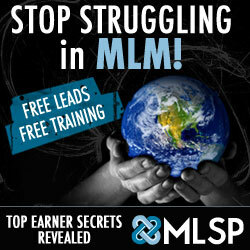 If you do this, and if you follow the system that your company and Success Team has in place, stay around the fire by attending events and being on the webinars and calls, work harder on yourself than you do your business, then you will have an EXPLOSION in 2012 and you will see your home business grow to new heights! Jimmy Ezzell is an Online & Lifestyle Marketer and Global Entrepreneur who teaches people how to make a Six Figure Income from the comfort of their home. Who Do You Know In The Ukraine? Talk Fusion Leaders Coming Soon! Is Talk Fusion the Best Global Business? Will you have a Global Business or a Hobby in 2012? What type of Home Library do you have for your Global Business? Thanks Shawn! If I can help you out in any way, don’t hesitate to call me. Wishing you much success in 2012!! Just what the doctor ordered, tahnktiy you! Thank you Janaya! I hope you enjoyed the post. If I can help you in anyway don’t hesitate to send me a message or give me a call- 913.207.2264. Thanks for stopping by! Hope that you come back often. I wish you much success in all that you do!! I’m out of legaue here. Too much brain power on display! Thanks Mickey! I hope this helps you achieve everything you want and desire in 2012! Thanks for checking it out! Hope that you will come back often. Wishing you much success in everything you do!! Thanks Mena! I hope it helps you achieve all your dreams and goals in 2012! Message me if I can help in anyway. I’ll try to put this to good use idmmeiately. That is awesome Roby! Wishing you the BEST in 2012. If I can help you in any way to achieve your dreams and goals in 2012, don’t hesitate to send me a message. “diablo 3, isn’t capitalism great in the U.S.? Thank you for stopping by and reading my post…if I can help you in anyway on your journey don’t hesitate to ask. I’ll be releasing our Project 50,000 soon, be on the look out! excellent issues altogether, you simply won a logo reader. Quantity you suggest about your submit for you to produced 7 days during the past? Any sure? Thank you for stopping by and reading my post…if I can help you in anyway on your journey don’t hesitate to ask. I’m announcing our Project 50,000 soon…be on the lookout! My brother recommended I may like this blog. He used to be entirely right. This publish actually made my day. You can not consider simply how a lot time I had spent for this information! Thanks! I and my buddies were found to be taking note of the good tips from your website and then at once I had an awful feeling I never thanked you for those tips. These guys appeared to be for this reason warmed to see them and now have absolutely been tapping into those things. We appreciate you indeed being considerably accommodating and then for picking certain magnificent resources millions of individuals are really eager to discover. My personal honest regret for not expressing gratitude to you earlier. Thank you for stopping by and reading my post…if I can help you in anyway on your journey don’t hesitate to ask. Any news about A defector’s unexplainable disappearance? Brian- did you mean to send this to me? Thank you! Hope all my posts help you. Happy Holidays! Whats up. Basically wanted to leave a brief remark and tell you that I’ve appreciated visiting your personal weblog and am promoting it to my contacts. Keep up the good work! Thanks again.